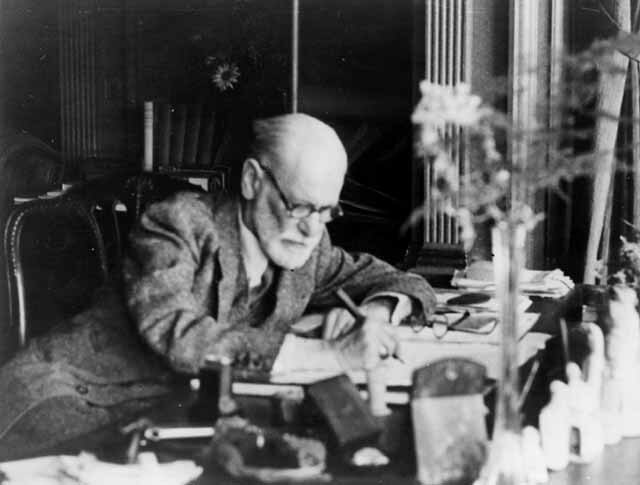 Was Freud right about religion? I tend to agree with the first half of this statement. The universe is what it is no matter what we believe about it, and the history of science is nothing if not a steady eradication of cherished beliefs about how the world works. This isn’t to say science always gets it right and religion always gets it wrong. But whenever someone attempts to use their worldview to impede scientific progress, it’s always a losing proposition. And religious people aren’t the only ones guilty of doing this. In fact, you could charge Freud, himself, with that crime. Many of his disciples certainly did, including my favorite, Ernest Becker. It’s the second half of Freud’s statement that gives me pause, b/c it’s premised on the assumption that religion is inherently irrational and that it gives no credence to experience. I’m not sure what inspired Freud to make this statement, but it could very well be a response to a form of hyper-Protestantism where the Bible–or, more to the point, someone’s interpretation of the Bible–trumps all. The Bible says it, and I believe it. End of story. If that’s the kind of religion against which Freud was arguing, then I can agree with the second half of his statement as well. Thankfully, that’s not the only kind of religion that exists. I know plenty of thoughtful Christians and people of other faiths who give plenty of credence to reason and experience in addition to tradition and Scripture. So rather than attack the weak form of religion–as the person who tweeted this quote so often tries to do–why not try taking on stronger expressions of religion instead? Perhaps then a true dialogue might be possible. As for us religious folks, I don’t think we should dismiss Freud’s critique out of hand. Rather, it should make us stop and reflect on exactly how we are communicating our faith to the world and what lines of argument we use to justify our beliefs. Of course, when we bring this discussion back to hell–come on, you knew I would–it should also make us pause and consider exactly why we believe what we do and how we arrived at these fondly held beliefs. How well does our doctrine of hell accord with reason? With experience? With the various streams of thought flowing down through church history? The Bible is important, yes, of paramount importance. But unless we attend to the various ways our context influences how we read the text, in the end all, we’ll do is prove Freud right. “As for myself, brethren, when I came to you, I did not come proclaiming to you the testimony and evidence or mystery and secret of God [concerning what He has done through Christ for the salvation of men] in lofty words of eloquence or human philosophy and wisdom; For I resolved to know nothing (to be acquainted with nothing, to make a display of the knowledge of nothing, and to be conscious of nothing) among you except Jesus Christ (the Messiah) and Him crucified. And I was in (passed into a state of) weakness and fear (dread) and great trembling [after I had come] among you. And my language and my message were not set forth in persuasive (enticing and plausible) words of wisdom, but they were in demonstration of the [Holy] Spirit and power [a proof by the Spirit and power of God, operating on me and stirring in the minds of my hearers the most holy emotions and thus persuading them], so that your faith might not rest in the wisdom of men (human philosophy), but in the power of God. Thanks for the comment. It’s curious that Paul makes no mention of Scripture here, only Jesus. I think this is a strong validation of my argument. Our experience of the Living Word–Jesus–should always guide our reading of the written Word.